Permissions/Roles have not been fully implemented yet. 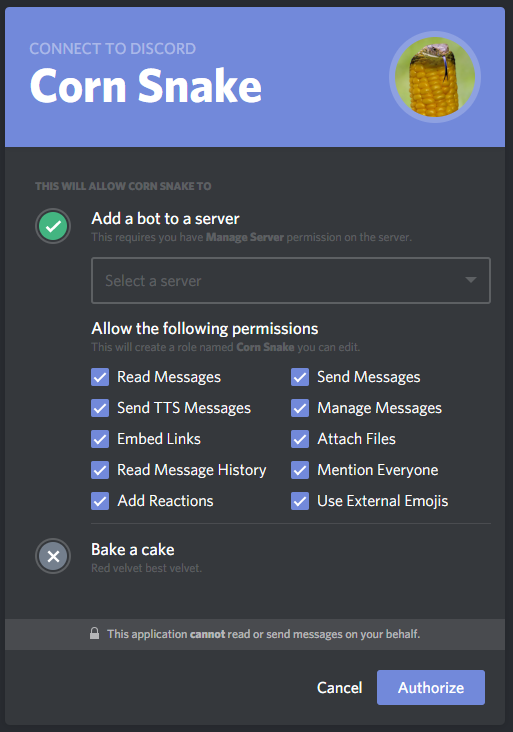 Until then the bot will require users to have a role labelled “Mod” to use any commands and this will grant the user access to all commands. Click invite to invite the bot to your server. Then select your server in the dropdown box, and click Authorize.